In Maryland, no estate of inheritance or freehold, declaration or limitation of use, estate for more than seven years, or deed is able to pass or take effect until the deed granting it is in writing, executed, and recorded ( 3-101). The forms provided in the Maryland Revised Statutes are sufficient for their intended purposes as documents of conveyance. Covenants, limitations, restrictions, or provisions may be added, attached to, or introduced to any form ( 4-201). The special warranty deed is used commonly in this state for real estate transactions. Any person who can enter into a legal contract in Maryland is able to hold and convey real property or interest in real property in this state. The grantee to a real estate deed must be legally capable of receiving property. Property in Maryland can be conveyed to two or more people, but it will not create an estate in joint tenancy unless the instrument expressly provides that the property granted is to be held in joint tenancy ( 2-117). The Maryland laws on alien land ownership are as follows: An alien who is not an enemy of the United States can own, sell, devise, dispose of, or otherwise deal with property in the same manner as if he or she were a citizen of the United States ( 14-101). In this state, title can be held in various ways: as tenants in common (with no survivorship), in joint tenancy (with a survivorship clause), and as tenants by the entireties (for married couples only). The manner in which title is held will determine the type of conveyance used. 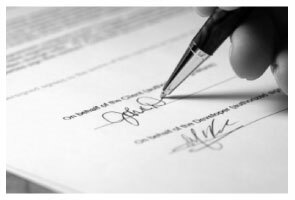 A deed must be signed and acknowledged by the party granting the property or interest. If acknowledged in Maryland, acknowledgements are to be made before a judge of a court of record, a clerk or deputy clerk of a court having seal, a notary public, or a master in chancery ( 19-102). If acknowledged out-of-state, acknowledgments should be taken before a clerk or deputy clerk of any federal court, a clerk or deputy clerk of any court of record of any state or jurisdiction, or a notary public ( 19-103). Regardless of where an instrument is acknowledged, the officer taking such acknowledgement should attach a certificate to the instrument in the form outlined in 19-107. In order to be recorded in Maryland, a deed must be accompanied by a completed Intake Sheet. Payment of the taxes prior to the transfer must be on the assessment books or records before an instrument can be recorded. Further prerequisites to recording are listed in 3-104 of the Maryland Revised Statutes. All fees and state transfer tax, city/county transfer taxes, and recordation taxes must be paid before recording can take place. First-time Maryland homebuyers are eligible for an exemption of half the state transfer taxes, provided that the appropriate paperwork has been submitted ( 14-104). Real estate deeds should be recorded in the county where the land lies. If the land is in more than one county, the deed needs to be recorded in all such counties ( 3-103). Once a deed is recorded, it will take effect from its effective date (which is the date of delivery) as against the grantor, his personal representatives, every purchaser with notice of the deed, and every creditor of the grantor with or without notice ( 3-201). Furthermore, every recorded deed or other instrument takes effect from its effective date as against the grantee of any deed executed and delivered after the effective date, unless the grantee of the subsequent deed has (1) accepted delivery of the deed or other instrument in good faith, without constructive notice, and for a good and valuable consideration and (2) recorded the deed first ( 3-203). This is known as a race-notice recording act.